Warner Bros. Pictures will produce a live-action, English-language remake of the Japanese anime classic "Akira." Stephen Norrington, who just finished directing 20th Century-Fox' Sean Connery-starrer "The League of Extraordinary Gentlemen," has reteamed with his "League" screenwriter James Robinson to develop the project. 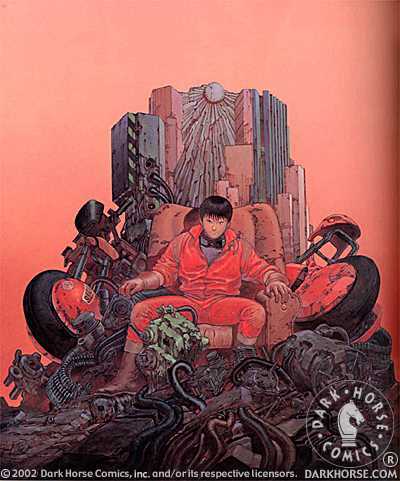 "Akira" is the creation of artist/writer Katsuhiro Otomo, who had previously directed a feature-length animated "AKIRA", based on his series of comic books. Premise of Norrington's remake concerns a bike gang leader who must rescue his younger brother from his involvement in 'Akira', a secret government project. In the process, the biker battles it out with activists, politicians and scientists. DARK HORSE COMICS ARE AVAILABLE FROM "THINGS FROM ANOTHER WORLD"